Shopaholic site - shopping, outfits, fashion, beauty, traveling and lifestyle blog: Elizabeth Hurley for Mango? 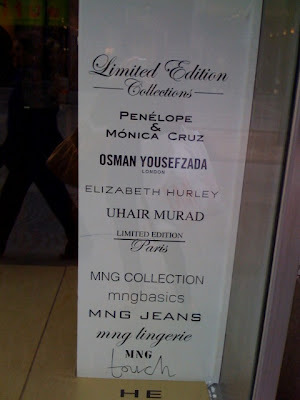 While visiting a Mango in Wien, i noticed a sign in the window: Elizabeth Hurley, among their limited collection listings. I've googled it, but i came with zero results. What's the story with it? But no Mango collaboration is mentioned there!